Sometimes I could swear their toys are talking to me. 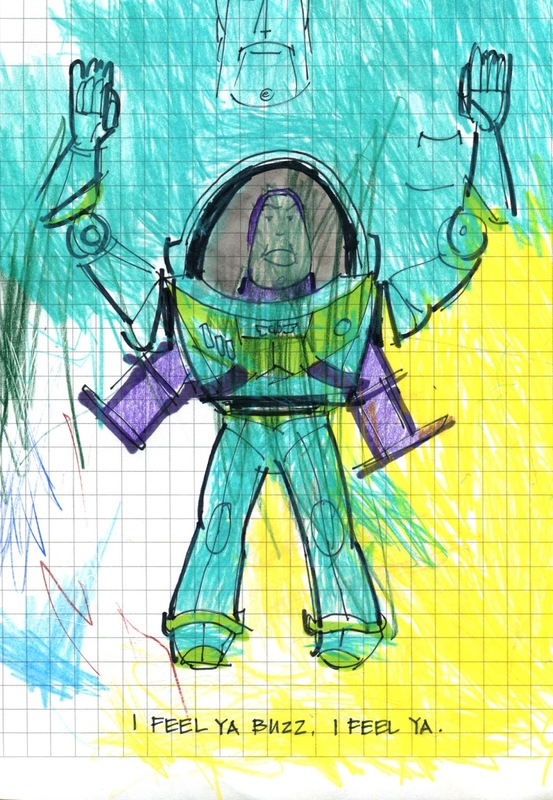 This drawing was prompted by Buzz, started by Mama and colored by Max. Miles sharpened pencils.